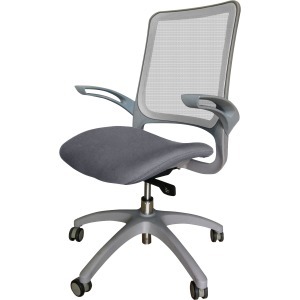 Durable task chair features a self-adjusting weight-activated, synchro-tilt mechanism that conforms to your body weight and allows the backrest and seat to tilt in unison. Design also includes a breathable mesh back and cushioned, waterfall seat upholstered in fabric to enhance your comfort during work or play. 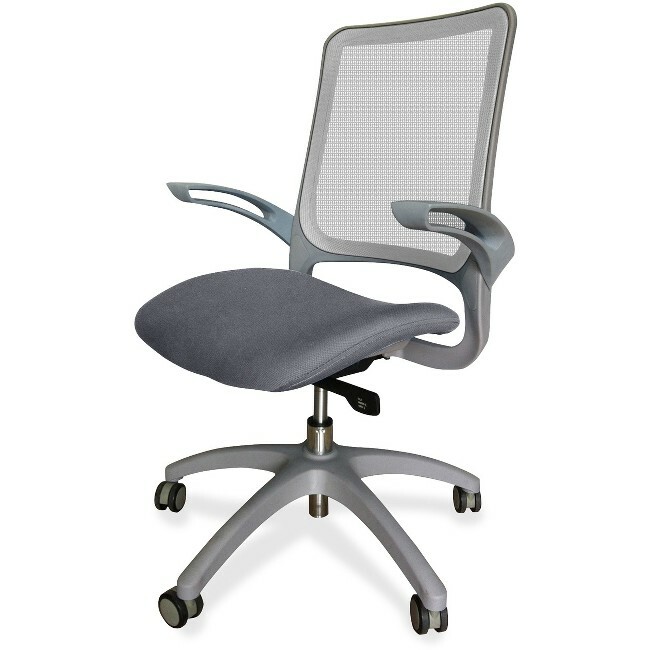 Functions also include 360-degree swivel, pneumatic seat-height adjustment from 18-1/2" to 21-21/32" and tilt lock. Gray nylon, five-star base is equipped with smooth-rolling casters for easy mobility. Weight capacity is 250 lb. Seat measures 19-3/10" wide x 18-1/2" deep. Back size is 17-3/10" wide x 20-9/10" high.